The Trieste Plaza has a retail bottom level with 4,000 sq ft of sub-dividable space that is ideal to design the space needed to start a new business. 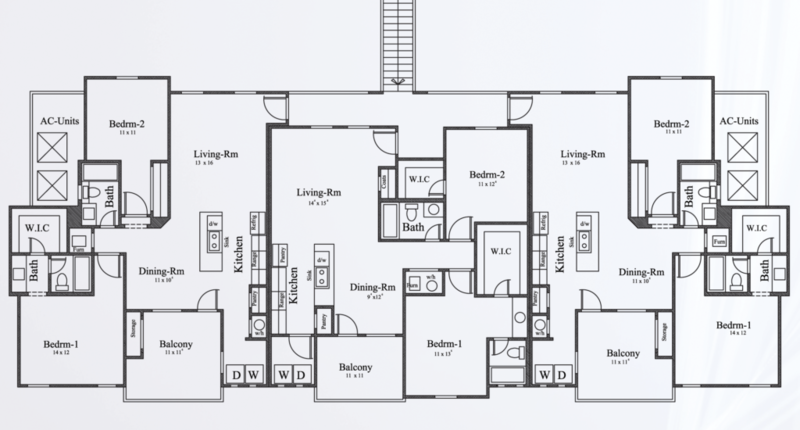 The top living level consists of 3 units each with 2 bedrooms and 2 bathrooms. These retail spaces have excellent commuter visibility from Thorn Street and are surrounded by many residential communities. The 2nd level has 3 large apartments with 2 bedrooms and 2 baths.